It was raining this weekend at Pune. A perfect weather to relax over canapes of conversation and cups of coffee. I called up mom to check her plans for the weekend and learned about the good weather in the Pune city. Mom was on her way for a coffee meeting with vendor and absolute fumed up a prospect of finding a suitable coffee shop in a city that is not so known to her. To make her work easy, I plugged on my Internet and came up with few suitable nominations post a good research that help suggested finding- Cafes in Pune. 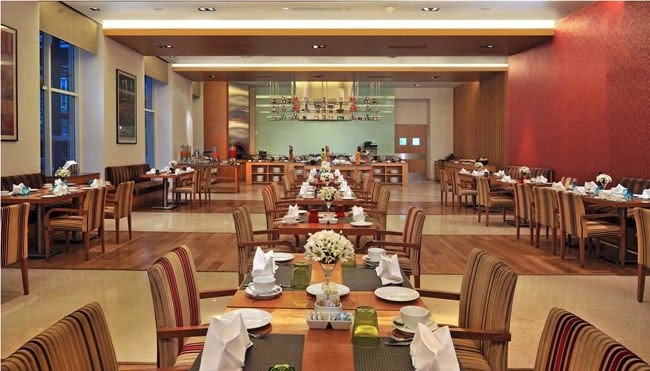 This 5 star at Viman Nagar, offers good Sheraton hospitality along with mouth-watering food and sumptuous coffee. It was also featured in Sunday Brunches, Late Nights Eats among various famous publication. In the menu, it serves amazing Baker's Basket with select croissant, Danish and muffin that makes a wonderful coffee accompaniment. If you have sweet tooth, do try some cool dessert from their menu. Hint- chocolates. Situated in Wanowrie, this place is bursting with some pleasant coffee and food. Their Menu is filled with beverages including coffee, tea and you will indeed struggle for choices. I found it quite a simple place with an interesting menu. Well, we have covered a 5 star, a casual youth coffee cafe but no coffee talks can be complete without the mention and lovely coffee that is served at the local "Coffeehouse". Well, Coffeehouse at camp Area in Pune is a house for one. It was also featured in "great Coffee collection". They serve yum south Indian Coffee and the Masala Dosa is just yummy there. Do visit them. Coffee lovers just love the age-old look and feel. So next time when you are in a mood to have some interesting coffee and conversations with friends, do not forget to take your shot of antioxidants at coffee shops in Pune. Let me know if you are looking for more such recommendations!